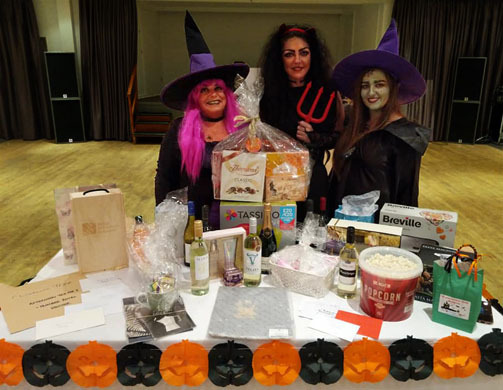 The Grimsby Charity Committee hosted their annual Halloween Quiz on the 31st to raise money for their charity of the year, When You Wish Upon a Star. They were delighted with the support they received, and they managed to raise an amazing £1,357 - this will all go towards sending sick children on the magical Santa Express. The Santa Express is a special charter for the children of Lincolnshire and Yorkshire, providing them with a magical day on board the themed carriages of the Belmond Northern Belle luxury train. From start to finish, the day provides children with excitement and adventure. An afternoon of fun, games and, of course, a special meeting with Santa is the highlight, before commencing our return trip whilst enjoying fine dining Christmas dinner – and extra special surprises. The Grimsby team aim to raise £4,000 to go towards this trip, the equivalent of 10 spaces on the Santa Express.